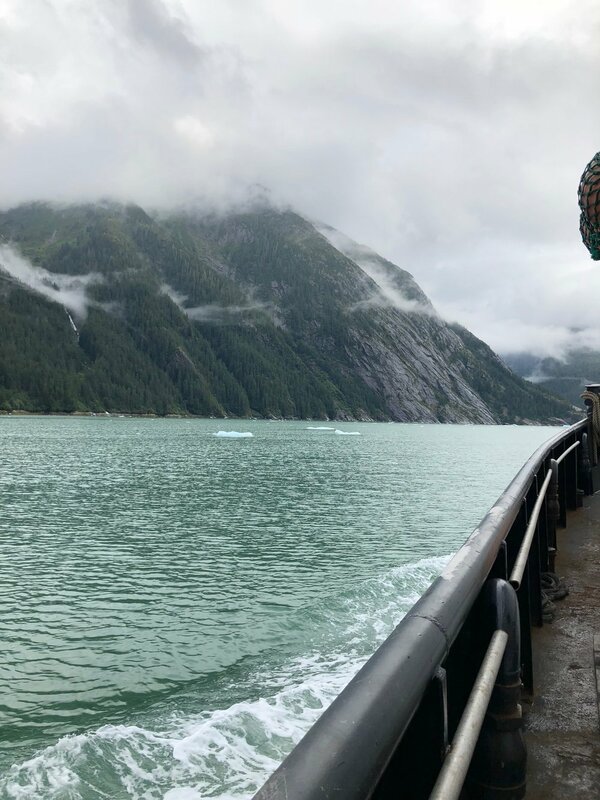 Apparently, John Muir once wrote something like you should go to Alaska when you’re young because no other place will ever live up to the beauty of Alaska’s landscape. But I am so glad that I had the chance to see this place – it is dramatic, and stunning, and made me feel very small in a way that only being surrounded by nature can. 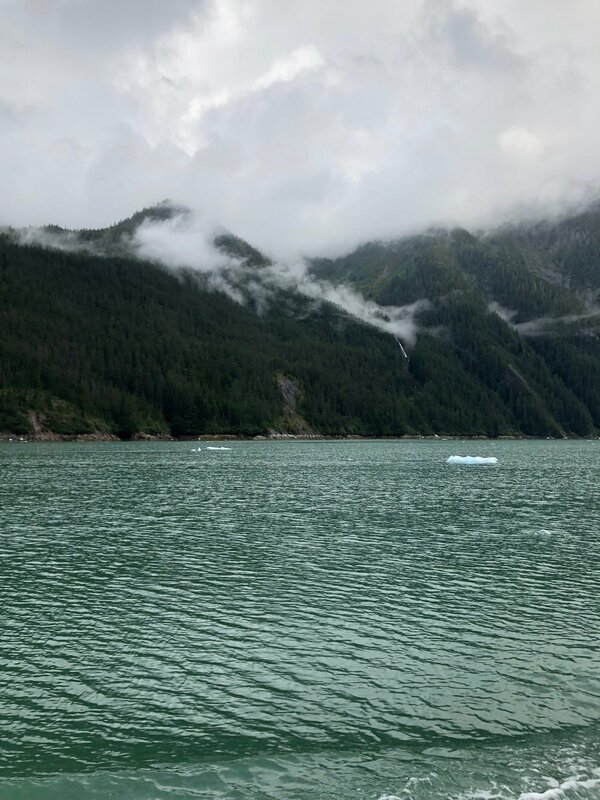 Seeing the glacier for the first time was pretty magical too and watching my first calving event was so different from anything else I’ve experienced. 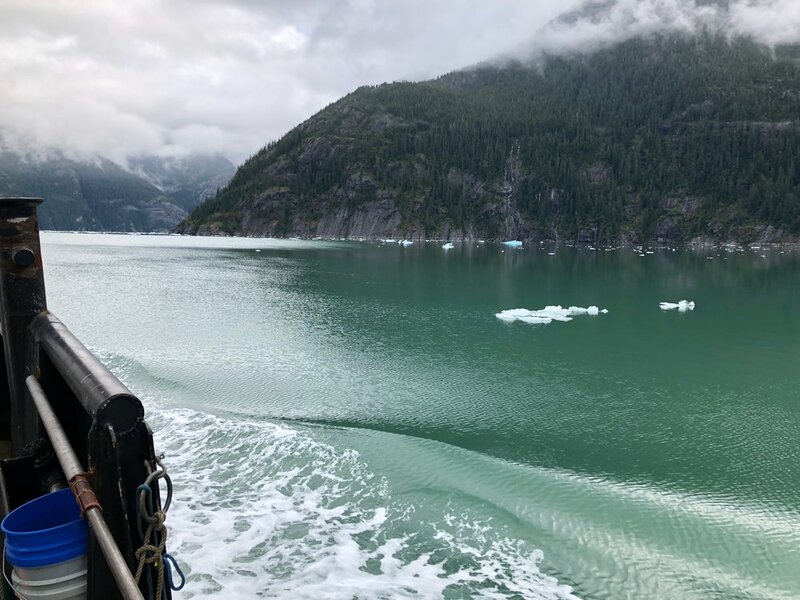 The LeConte Glacier is a bright blue against the rest of the landscape, and its full of arches, crags and caves made of ice. Throughout the day, especially when it’s warm out, slices of ice crack and come tumbling from the face of the glacier – making sounds echoing sounds and sending rippling waves and crumbled ice throughout the fjord. The short story? I don’t think I could ever get tired of this place.